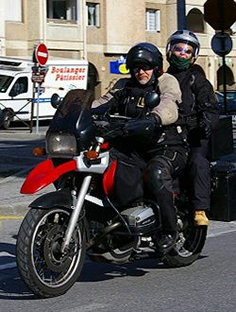 The European Commission’s proposal for the Approval and Market Surveillance of two or three-wheel vehicles and quadricycles is moving through the European processes. The next stage sees a vote in the IMCO (Internal Market and Consumer Protection) committee scheduled for November 22nd, before going to the European Parliament. Although the proposals were aimed at simplifying legislation, the Commission included so-called safety technology such as the mandatory application of Advanced Braking Systems (ABS). The argument that the Commission, the Rapporteur of the IMCO committee Wim van de Camp and the Department for Transport in the UK have used, is that ABS will reduce around 20% of fatalities over the next ten years. Until now, we have stayed away from the “safety” debate regarding ABS, because there is a general consensus that overall, they do help in certain conditions to stop the motorcycle and help to stop loss of control. 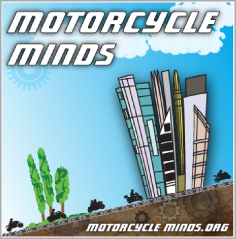 To balance the debate, we have asked the views of two highly respected motorcycle trainers: David Hough – U.S. Motorcycle Trainer, writer and journalist and David McGuckin – Northern Ireland Motorcycle Training Instructor. Both give us their insight into ABS from their knowledge and experience and both have come to very similar conclusions. David Hough, “Rather than attempt to make up for rider lack of braking skill by incorporating “safety” devices into the machine, I suggest training riders to manage the situation, including skilled throttle-to-brake transitions, and independent front-rear braking”. Our experts have indicated that training is a far better option than mandating ABS technology. However European Commission has stated that it will maintain its position NOT to include items such as training in the proposal that are irrelevant to technically approve a motorcycle. In its opinion on the Commission’s proposals, the European Economic and Social Committee (EESC) agrees with the proposals in reference to ABS, but it also reiterates the need to properly evaluate the cost-effectiveness of the different systems, depending on the different products and their usage patterns. In this respect, the EESC supports a technology-neutral approach in the area of advanced braking systems, in order to provide manufacturers with the necessary flexibility and stimulate innovation, in the interest of the consumer. This is what we have consistently argued. However we also believe that the inclusion of ABS in the proposals is not just an issue of cost, but a means by which the Commission and Parliament can state that they have done their part to reduce motorcycle casualties. In our opinion, statements that ABS will reduce casualties by 20% over the next 10 years is reckless because it may lead motorcyclists and safety organizations to believe that ABS will reduce casualties in ALL braking situations, rather than stop the motorcycle safely in specific scenarios. Along with David Hough and David McGuckin, our opinion is that ABS is not THE panacea to reduce motorcycle casualties that our friends in Brussels would have us believe. ABS for dual purpose motorcycle showing the effect of ABS and no ABS braking on gravel. The video shows first braking with ABS, then only braking on the rear wheel with no ABS and finally with no ABS to the rear or front wheel. Another comment from the USA on Harley Davidson ABS brakes. Taken from Motorcycle Consumer News and their Model Evaluation of the 2012 Harley-Davidson Switchback in their November 2011 issue. THIS is exactly what we experienced when testing different manufacturers’ ABS systems. H-D’s ABS will allow a momentary lock up of the wheels before the ABS kicks in due to the very low rate that it’s ABS control unit polls the sensors compared to other manufacturers’ systems. That may not cause issues in a straight line stop, but it definitely gave us problems when braking hard enough for the ABS to engage when stopping in a curve without straightening the bike first. Our experience was that the allowed momentary skid of both tires was enough for the rider to lose control and end up in a low side crash. The additional fact that there is only ONE electro-hydraulic control unit for both wheels shows how very different H-D’s approach is to ABS. We faced an issue in training with ABS equipped bikes that I personally found somewhat disconcerting. My training sites use curriculums that are in addition to (and quite a bit beyond) what MSF teaches. When we first started tailoring our motorcycle training to include how to properly use ABS I had to get up to speed pretty quickly never having personally owned a bike with ABS. One of the things we discovered was that with one particular brand of American made motorcycles, teaching our Instructors to actually use the ABS, and how to coach their students using it, was causing some serious safety issues, especially if they got the least bit aggressive while braking in curves. The ABS was actually CAUSING more crashes; but only on one brand of motorcycle. I discussed the issue with several local technicians to determine the cause before we moved any farther forward; and although I can’t be 100% certain, I believe it comes down to how frequently the ABS computer cycles (polls) it’s sensors and then adjusts the braking system. We discovered that BMW’s ABS system cycles at 100 times/second. Honda’s cycles at 80 times/second. 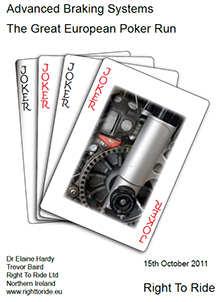 However H-D’s ABS computer was only cycling at 4 or 8 times/second depending on which version of the computer was installed. It’s pretty obvious that this is a radical difference. That difference was actually allowing the H-D’s brakes to lock up for periods that were significant enough that the riders were actually crashing the bikes if we coached them to “get into” the ABS so that they would experience what it felt like to do so. We have since modified our training to exclude any H-Ds from exercises involving ABS braking. Although this was all pretty much “seat of the pants” research with the exception of the cycle rates of the ABS computers. That information was originally gleaned from Stacy Axemaker (Idaho STAR program), and then confirmed with local dealership service departments. As I said earlier, we don’t know for certain what was causing the crashes; but the cycle rates of the ABS computers seemed to be the primary cause based on our observation of what was actually happening during hard stops where the ABS was engaged. It was pretty obvious that the H-D’s ABS would actually allow several very brief lock-ups of the tires before the system would correct and partially release the brakes during straight line stops. That didn’t happen with the Hondas or the BMWs, and we suspect that the cycle rates of their respective ABS computers were reacting quickly enough to prevent any lock-ups of the tires, or if they were locking up it was so brief as to not be observable. Applying the brakes on the Hondas and BMWs hard enough to cause the ABS to engage when stopping in a curve does require some additional attention by the rider to maintain control of the bike. However a front wheel lock-up of even less than a second (which the H-D system was allowing) was enough to cause the front tire to wash out. Here’s a view on a ABS that blows the ‘safety’ lobby apart. A few years ago I was invited to test the new Honda advanced braking systems that were introduced on the Fireblade and CBR600rr as optional extras. This system electronically links the front and rear brakes and provides anti-lock braking as well, it is the most technically advanced on the market. I was encouraged to ride the bike as fast as I liked onto a surface covered in streaming water, or loose gravel spread over tarmac, then brake as hard as I wanted to with either front or rear brake. I did so and was very impressed with the fact that I didn’t end up on my arse and also with the stopping distance, which was greater than I might have achieved otherwise. Why, if you are so convinced that this is a faultless and safety improving system, do you not fit it as standard to these 2 models? Honda answered that they wanted to promote choice, as they felt that some people would prefer not to have the ABS. They didn’t want to lose potential sales. I was going to ask why they didn’t fit it to all of their bikes as standard, but the answer had become obvious. But here is the crux of the matter. We had Steve Plater with us on the day, British Supersport and road racing legend. In tests, Steve concluded that he could stop the bike slightly quicker without the advanced braking system; which goes to show that training is perhaps the way forward here. Do you not think that riders will use this system on the road to improve their performance? To brake later and harder as they are not concerned about the brakes locking up? I know damn well that some of the riders that I know, would do this. Where is your safety argument in this situation? Nowhere. The riders you were allegedly seeking to protect are now hurtling towards that corner with even greater speed and even less skills. The law of unintended consequences is a harsh one, but it’s one that legislators almost always ignore.